The federal government’s Supplemental Nutrition Assistance Program (SNAP), often referred to as food stamps, helps low-income individuals and families buy food each month. In fiscal year 2015, 45.9 million people received SNAP benefits averaging $127.04 per person per month. The annual cost of the program was $52.4 billion, according to the U.S. Department of Agriculture’s Food and Nutrition Service. While the program is praised for helping struggling families afford food, it also receives criticism, in part because SNAP funds can be used on foods with questionable nutritious value, including junk food and candy. Researchers at Yale University published a study in 2012 that estimated that at least $1.7 billion to $2.1 billion in SNAP funds are used annually to purchase sugar-sweetened beverages. That amount represents 2% to 3% of the $74.6 billion that the program cost in fiscal year 2012. Still, legislators, advocacy groups and others have had debates about whether such foods should be banned from the program. Some critics argue that the current SNAP policy contributes to poor health and a higher rate of obesity among SNAP recipients. The U.S. Department of Agriculture released a report in May 2015 that found that 40% of SNAP participants were obese compared to 31% of the general population. Scholars who have studied the paradox of hunger and obesity point out that there are a number of reasons why lower-income individuals may be overweight or obese. Poorer families sometimes buy less expensive foods with higher calories to stave off hunger, for example. They also may overeat when food is available. Food insecurity – a reduction in the quality, variety or desirability of food and anxiety over food shortages — also has been linked to obesity and other negative health outcomes. 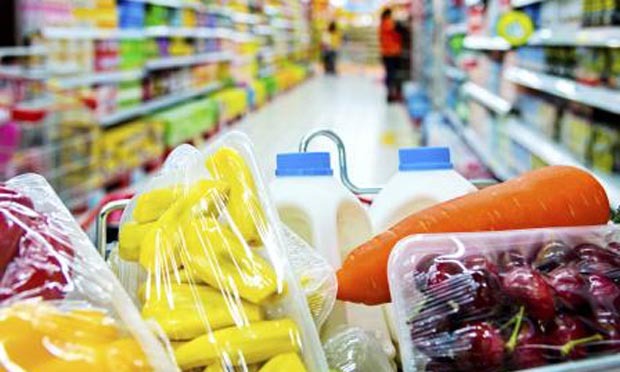 A group of researchers from the American Cancer Society’s Economic and Health Policy Research Program in Atlanta and from the Gretchen Swanson Center for Nutrition in Omaha sought to better understand how the SNAP program affects the relationships connecting SNAP recipients’ weight, quality of diet and their levels of food security. The 2015 study published in the American Journal of Public Health, “The Supplemental Nutrition Assistance Program, Food Insecurity, Dietary Quality, and Obesity Among U.S. Adults,” used data collected from the National Health and Nutrition Examination Survey from 2003 to 2010. The authors — Binh T. Nguyen and Kerem Shuval of the Economic and Health Policy Research Program, Amy L. Yaroch of the Gretchen Swanson Center and Farryl Bertmann, a nutrition and dietetics research consultant — sought to study households experiencing four levels of food security. In this study, households with high food security had no problems with food access while those that experienced marginal food security might have had anxiety over whether there was enough food at home. Households with low food security generally had lower quality diets or diets lacking variety or desirability but they did not experience changes in food intake. Households with very low food security generally reported disrupted eating patterns and reductions in food intake. The study sample consisted of 8,333 adults who were 20 years old or older and were not pregnant. Consistent with the existing research, when analyzed separately, SNAP participation and food insecurity were associated with lower diet quality and a higher prevalence of obesity. SNAP participants had a poorer nutrition profile than nonparticipants. Individuals living in homes with food security had higher body mass indexes and were more likely to be obese than those with food security. When food insecurity and SNAP participation were analyzed in tandem, different trends emerged. Participation in SNAP was associated with a better nutrient profile for individuals from households where food security was marginal, low or very low — when compared to adults who did not receive SNAP benefits but reported having the same level of food insecurity. In addition, adults who received SNAP benefits and lived in homes with some level of food insecurity appeared to have lower body mass indexes than adults who did not receive SNAP benefits and experienced the same levels of food insecurity. When the authors analyzed SNAP participation and food insecurity together, they noticed differences among racial groups. SNAP participation had a limited effect on dietary quality for black and Hispanic adults from homes experiencing food insecurity. However, Hispanics participating in SNAP who were from households with marginal food security had lower body mass indexes and rates of obesity. White adults had lower body mass indexes when they received SNAP benefits and lived in homes with either marginal or very low food security. For households experiencing some level of food insecurity, SNAP participation “appears to buffer against poor dietary quality and obesity,” especially among white adults and among Hispanics with marginal food security. Related research: A September 2015 report from the Congressional Budget Office predicts that federal spending for child nutrition programs will continue to increase. A 2013 working paper for the National Bureau of Economic Research explores the reasons why the percentage of people who became eligible for food stamps increased dramatically between 2007 and 2011. A 2012 study from the Public Policy Institute of California, “The Role of Local Food Availability in Explaining Obesity Risk among Young School-aged Children,” analyzes weight changes in children from kindergarten through fifth grade. Citation: Nguyen, Binh T.; Shuval, Kerem; Bertmann, Farryl; Yaroch, Amy L. “The Supplemental Nutrition Assistance Program, Food Insecurity, Dietary Quality, and Obesity Among U.S. Adults,” American Journal of Public Health, July 2015, Vol. 105. doi: 10.2105/AJPH.2015.302580.